Financial and tax planning is an iterative process, and many are reviewing 2018 and planning for 2019. In doing so, a quick retirement plan review might be in order. Below are some important points and tips to consider when reviewing your 2018 tax year. Now is a good time to dig out those retirement plan documents and check the beneficiaries. This will ensure that those who you want to inherit your retirement plan accounts will. If the retirement plan documents and your Will designate different people, whoever is named in the retirement plan documents will inherit your account. You should also be sure to name contingent beneficiaries as well and verify all this with the administrator of your accounts. If you inherited an IRA from someone other than your spouse in 2017, you need to set it up as a separate Beneficiary IRA by December 31, 2018. If this isn’t done, the entire amount in the IRA will be taxable to you. If you are thinking of converting your Traditional IRA to a Roth IRA, you may want to consider waiting until January. If you convert now, the tax on the fair market value of the converted assets will be due April 15—3 ½ months from now. If you can wait until January, the tax bill won’t come due until April 15 of 2020 –15 ½ months from now. 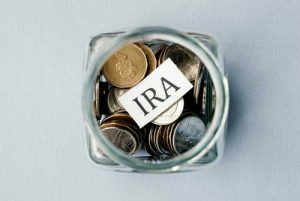 As a caution to converting to Roth, the ability to recharacterize back to a Traditional IRA (and avoid the tax) was eliminated in the Tax Reform Act passed late in 2017. If you have reached the age where you are required to distribute money from your retirement accounts (70 ½), this is referred to as RMD status. Be sure to make your minimum distribution before the end of the year. There are substantial penalties for not making your RMD. Also, if you have a beneficiary IRA, you are required to make distributions from these accounts regardless of your age or whether these are Traditional or Roth IRA accounts. This must be completed by year-end as well. For those in RMD status with hard-to-value assets in their retirement accounts, it might be advantageous to get the assets appraised. If the fair market value of these assets is lower at the end of the year, your required minimum distribution for 2019 will be lower as well. If you are making a qualified charitable distribution (QCD) from your IRA, be sure the charity receives the contribution in 2018 (and the administrator of the account is reporting it as such). If you miss the deadline, you will not be eligible for the tax break. These six items should be reviewed and discussed with your trusted advisers to ensure there are no surprises. MidAtlantic IRA is here to assist in any way that we can.